We have all been exposed to the record-breaking rain in San Diego the past few months that has been keeping us all indoors. But the “too hot to go outside” spring/summer days are around the corner. Soon, we will be running the AC throughout the day to stay comfortable inside. 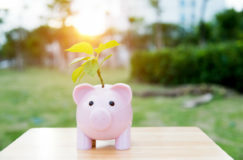 If you are from San Diego, you are probably familiar with your energy bill doubling during the warm season. Improperly maintained AC units will further increase your energy bill and can even cause the system to break down completely. 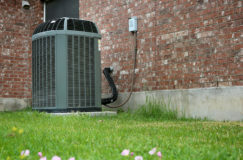 AC unit repairs can be costly and will leave you panting on a hot summer day waiting for the HVAC contractor to arrive. 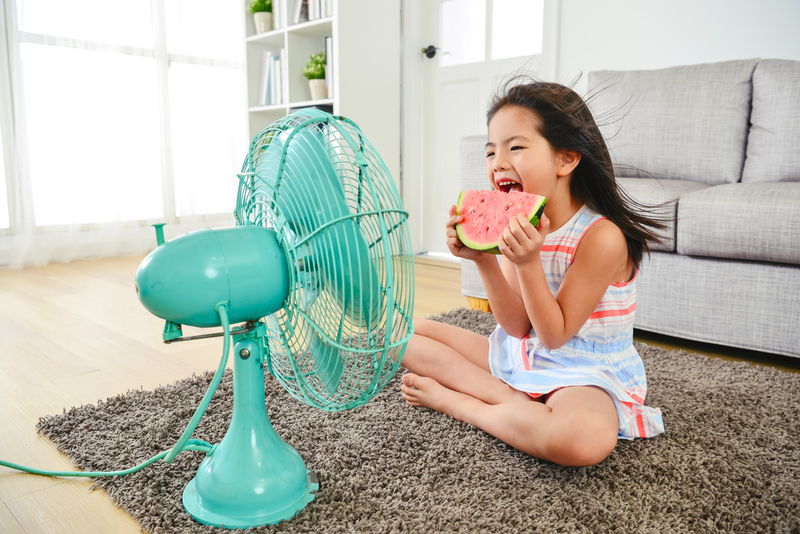 Save money in the summer months by properly preparing your AC in a few simple steps. This is the easiest, yet most commonly overlooked step of AC maintenance. If you do not change your filters, air flow will be restricted, reducing efficiency of the system, and recirculating dust back into your home. Anytime the filters appear to be clogged with dust, they should be cleaned. The filters should be replaced at least once a month to keep your AC running smoothly. Regular maintenance spares you the cost and the hassle of fixing repairs reactively. 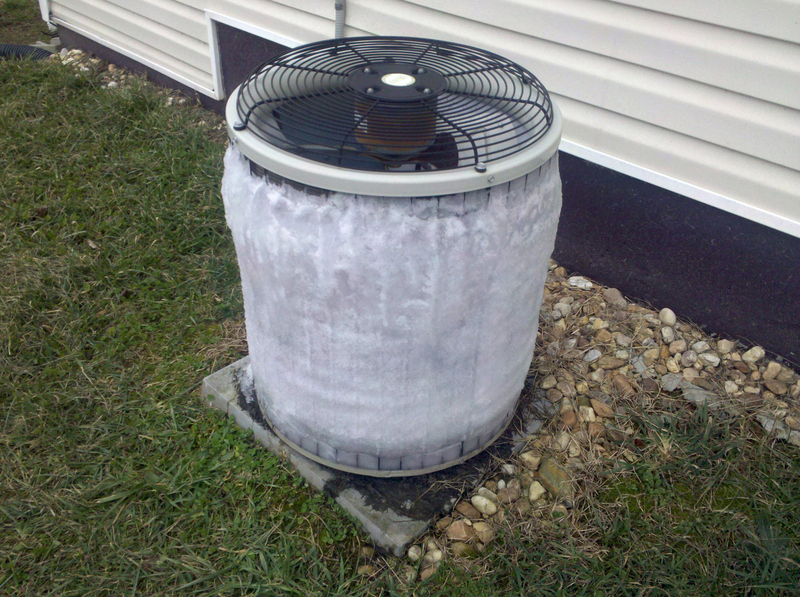 For central air units, the filter is typically on the face of the blowing unit, behind a metal plate. Remove the metal plate, remove the old filter, place the new filter in and put the metal plate back in place. For window units, the filter is on the face of the unit or behind a small metal plate. If your window unit has a permanent filter, gently remove it and wash it under warm water before placing it back in the unit. 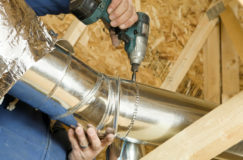 If considering doing duct cleaning yourself, be cautious, as it is usually best to have it cleaned by a professional. Simple preventative maintenance, like checking the ducts for any wear or exposure, can save you the cost of a professional duct cleaning/repair. Do a quick spot check to ensure that every seal is intact. 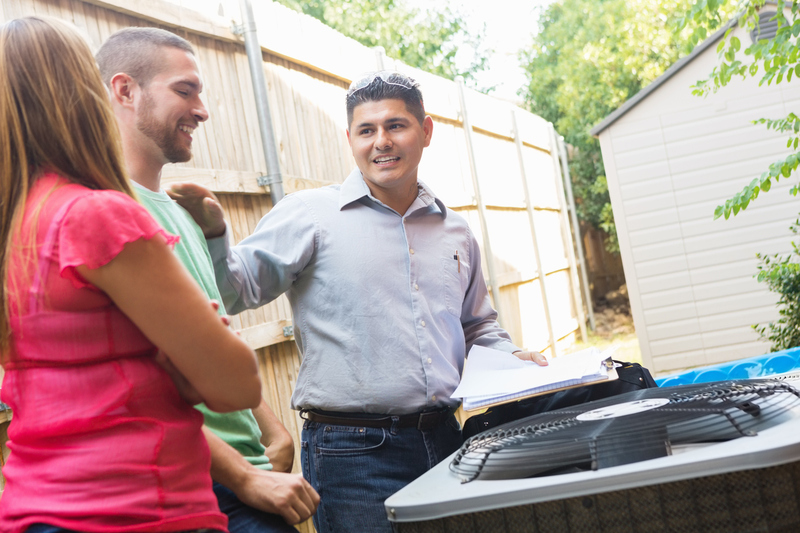 It is a quick, simple step to take to ensure your AC is ready to go for the warm weather. 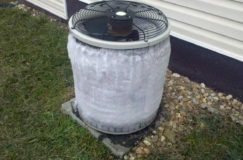 The condenser is a large fan in a metal box, covered with protective side grilles, typically located outside the home. 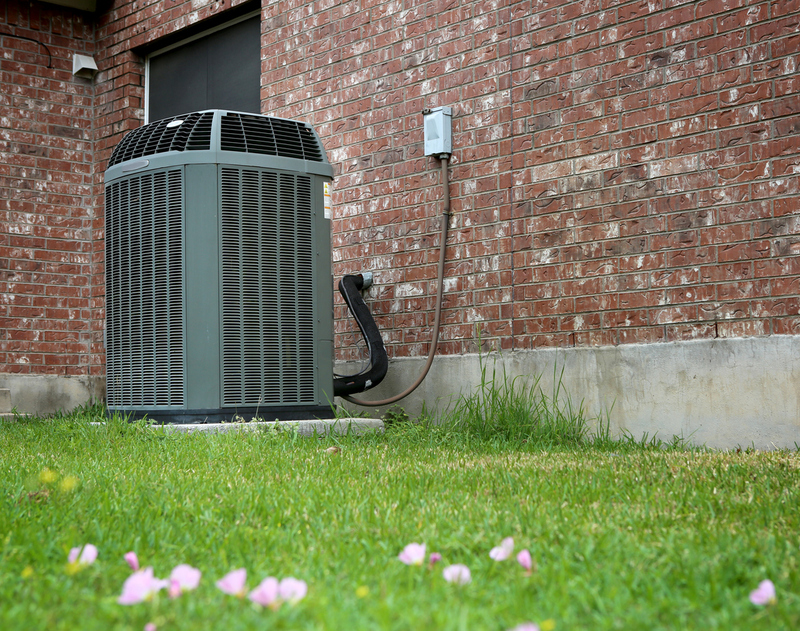 Leaves, plants, and grass can all build up around your condenser unit, affecting airflow, and resulting in reduced performance from your AC. Clean up any leaves caught in the base or drain and trim any grass or weeds around the condenser before use in the warm weather. If your condenser unit was covered during the winter months, it will have extra build up under the cover, making it very important to clean before turning on the unit for the first time this season. To clean the coils and the blades, remove the side and/or front panels from the condenser. Use a vacuum and a rag to clean out dust and dirt from any accessible fan blades and coils. Make sure to use low vacuum pressure and to blow out any contaminants the way they came in, rather than further into your home. Be careful to not bend the fins or damage the coils. If water is used to clean the inside, be extremely careful to not flood the area or spray water on any electrical components. 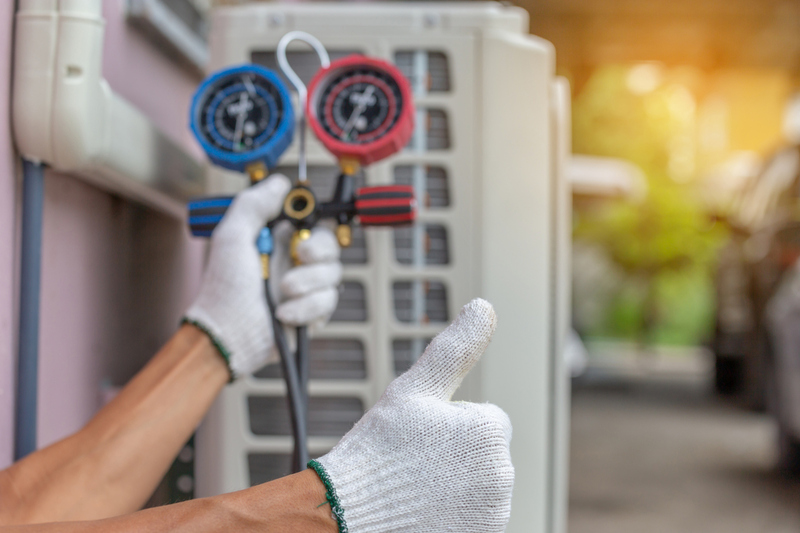 As a safety precaution, be sure the AC unit is completely turned off before cleaning inside or outside of condenser unit. 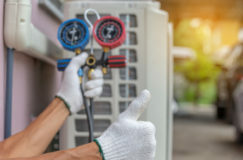 Coolant lines, also known as refrigerant lines, are the two pipes that run from the outside condenser unit to the inside of the house (to the evaporator on the air handler). The coolant lines are covered with insulation for efficiency purposes, so the coolant lines should always be completely insulated/ covered. If you see areas where insulation is damaged or missing, be sure to cover with foam insulation sleeves or insulation tape only. At Johnson Air, we provide a free assessment and price quote for all new cooling system installations. Call today or fill out the form on the side of this page to request a quote!